This entry was posted in Australia Immigration Visa and tagged Gary Gray MoreVisas Tourism Minister Mr Western Australia on August 12, 2013 by Blog Author. 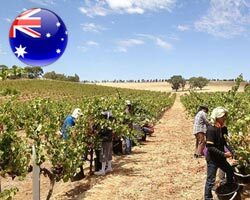 Australia will extend its trial seasonal workers visa programme for the benefit of immigrants. It has been expanded to involve the accommodation sector to the larger area of the country. The Seasonal Worker Programme is a major part of the Department of Immigration and Citizenship Special Programme Visa category. This permits the employers to sponsor individuals from the eligible countries to take a part as seasonal workers. Accommodation businesses will now be able to employ periodic workforce with this programme which will be open until 30 June 2016. The country will hire eligible workers from various countries to certainly accommodation businesses in Western side of Australia. The tourism business will hire periodic employees from overseas at times of local labour shortages. The expansion will feature all of Western Australia his will help to accommodate businesses and to find enough workforces to hire from overseas. Accommodation providers will get the advantage of having the ability to hire seasonal employees they need. Workers from overseas will have a benefit to make good money to assist their family and community back home. MoreVisas is locally and globally developed. We have our office in Australia which helps us to provide detailed information to our clients, who wish to migrate to Australia. Tourism Minister. Gary Gray pointed that the expansion of the programme to Western Australia is beneficial for the state’s crucial tourism industry. ‘Seasonal employees provide Australian employers in the industry with reliable workforce during zenith seasons. It is likewise a win for anyone wanting to visit the West and appreciate the fantastic tourism experiences. This programme will certainly ensure the Western Australia’s accommodation businesses can offer their best service at peak season. Nearly 1,500 seasonal employees were recruited by employers in the current year. The programme also consists of a trial in the Australian accommodation, cotton, aquaculture, and cane sectors in few regions. It aims to help in the economic development of participating countries and enables employees to undertake between 14 weeks and 6 months’ of job with Australian companies who can demonstrate an unmet need for low skilled workforce. The number of places available under this programme continues to expand each year. In the current financial year, nearly 2,000 places are available in the horticulture industry. A combined total of 500 locations are available in the trial sectors of aquaculture, accommodation, cotton and cane in few regions. In the accommodation sector, seasonal employees can be recruited to work in positions which include bar staff, café workers, kitchen hands and housekeepers. MoreVisas is India’s emerging immigration and visa consultant service provider. We are experienced and professional consultants who provide quality services to the customers. We have been handling all types of Australia immigration requirements. Our professional consultants have solutions for all your immigration needs relating to family, work or study, etc.